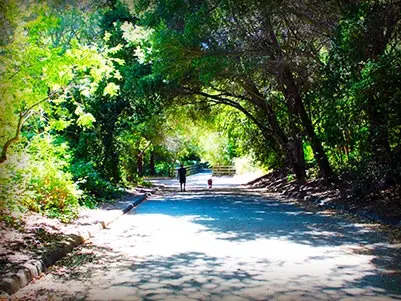 Mountain Camp Woodside is located on the spectacular Woodside Priory campus in Portola Valley. It is a meticulously kept 63-acre campus with outstanding athletic facilities, and it is as safe as it is beautiful. When our parents see the facilities, they want to come to camp! She had lot of fun and really enjoyed the experience while learning new things. The location is safe, nearby and beautiful. The staff member were very friendly. My daughter loved it so much that she wants to come back next summer. - Asenaida E.